The 2018 Airstream Basecamp travel trailer's 26″ x 46″ rear hatch lets you load and unload your gear through the back of the trailer into 126″ of available cargo depth from the hatch to the galley cabinets, without having to maneuver larger items like bikes and kayaks through the main door. Close up the rear hatch to keep the trailer cozy, or keep it open and attach the removable screen. Airstream Basecamp doesn’t overlook comfort. The optional QuietStream™ air conditioning with two-speed fan will keep you cool. The Truma Combi Eco Plus heating system will handle both water and cabin heating with world-class efficiency. 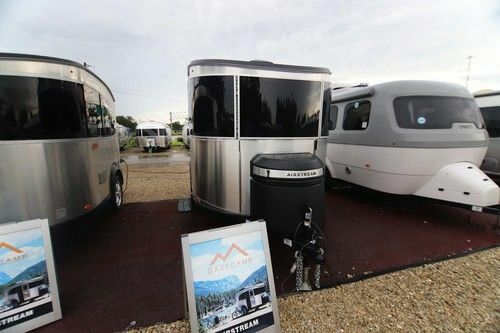 Airstream Basecamp lets you spread out a little with outdoor extras like the optional visor and optional tents. Two unique tent options attach to either the door-side or rear of the trailer. When used together, they give you 120 square feet of additional sheltered outdoor space for sleeping, lounging, or storing your gear out of the rain. TRA Certification™ Green: Emerald Status (Highest Rating) and much more! 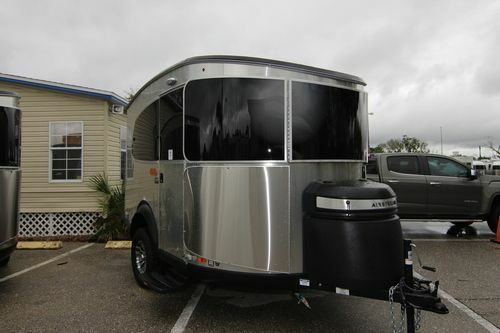 This is a partial list of 2018 Airstream Basecamp travel trailer features and options. For a complete and exact list of standard features and options please call us and ask to speak to a North Trail RV Motorhome Sales Consultant. North Trail RV Center is not responsible for any errors or omissions listed here.